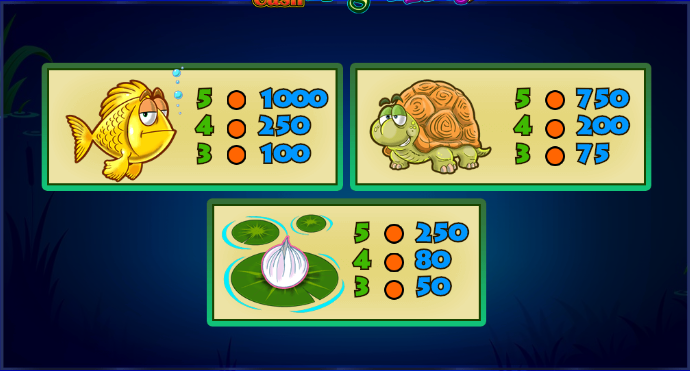 The surface of any pond is always a war zone for wildlife as the smaller creatures try to avoid being eaten by the larger ones; Temple Cash Frogs ‘N Flies in an online slot machine based on this eternal struggle, it’s developed by Lightning Box and it comes with free spins and jackpot prizes. 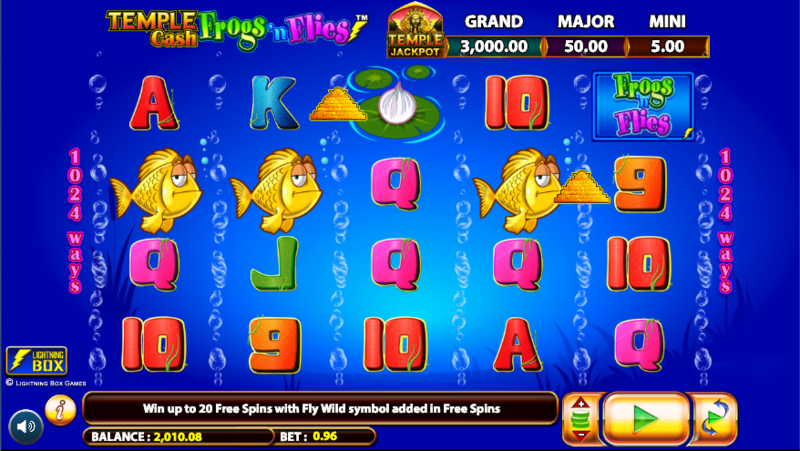 Temple Cash Frogs ‘N Flies is a five reel slot with four rows and 1024 ways to win; there’s a watery backdrop to the gameplay and jaunty tune entirely appropriate to the subject matter. The Grand, Major and Mini jackpot prizes are shown above the reels. The high value symbols are represented by a goldfish, a tortoise and a lily pad while 9, 10, J, Q, K and A make up the lower values. The cheerful frog is wild, he appears only on reels two and four and he will substitute for all other symbols to form winning matches except for the Frogs ‘N Flies bonus icon. 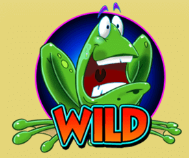 This is triggered by landing three, four of five of the Frogs ‘N Flies bonus symbols anywhere in view for which your reward will be 5, 10 or 20 free spins respectively; there’s an extra wild symbol ( a worried fly) on reels two, three and four during this round and more spins can be triggered in the same way as before. Trigger this by landing three of the small pyramid symbols on the streams of bubbles next to reels two, three and four and you’ll now get to play a six level picking round to try and reach the jackpot stage; here you must pick coins to find three matching ones which will determine whether you’ve won the Grand, Major or Mini prizes. Temple Cash Frogs ‘N Flies is graphically quite basic but the gameplay is entertaining; chuck in the two bonus features and you’ve got yourself an interesting diversion.